This post explain how to retrieve random records from the MySQL database and display the same records in UI. you can use this technique to display Random Ads in your web pages. It is very easy and simple to use. 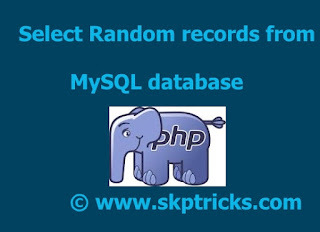 In this example we are retrieving 5 different post from MySQL database in random order and displaying the same records in "index.php" page. Here we are retrieving the post title, post details and post link from the "POST" table. when you refresh the web page that time, it will show different post records each time. Controller work is to control the flow of execution. Here when you load and refresh page each time, controller handle the request and process the result. This DAO class helps to establish the database connection and populate/fetch the records from MySQL database. This page fetch random records from the database and display the records in formated order. 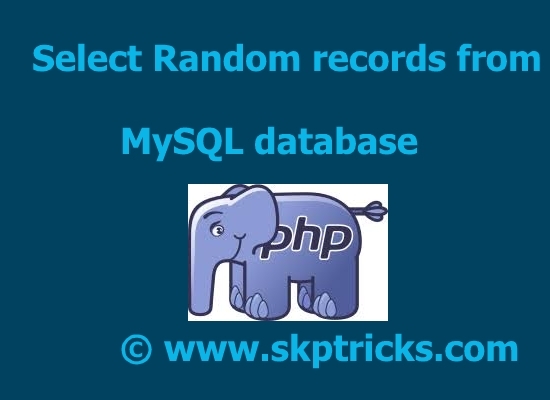 This is all about Select Random Records in MySQL database. Thank you for reading this article, and if you have any problem, have a another better useful solution about this article, please write message in the comment section.